A part of Korean skincare routine is to take care of the area around eyes and prevent the skin from aging. As most of the people know, the area around eyes is sensitive and needs to be taken care of with right and not too strong products. 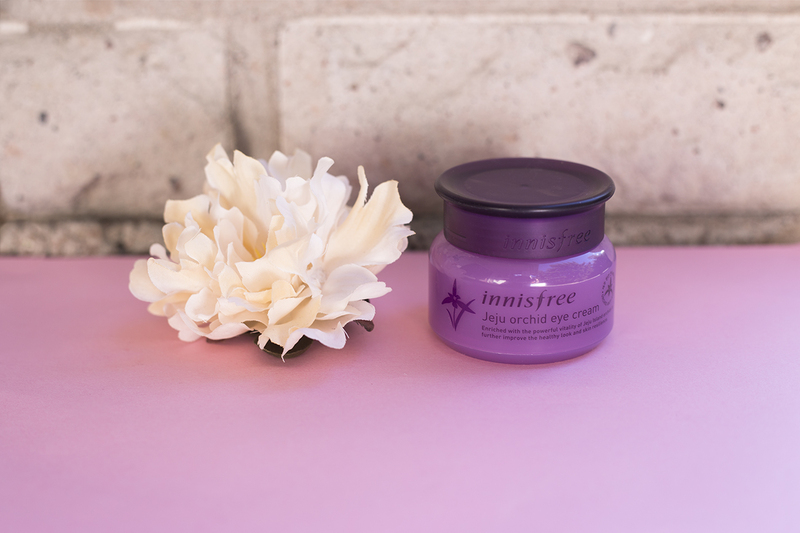 Innisfree is a popular Korean brand which is known from their natural ingredients from Jeju island. They say that they "pursue an eco-friendly green life". The containers are made of eco-friendly materials and the ingredients are 70% from nature. So if you're a person who wants to have beautiful skin and pursue green values, read further to get to know more about the best Korean eye cream. 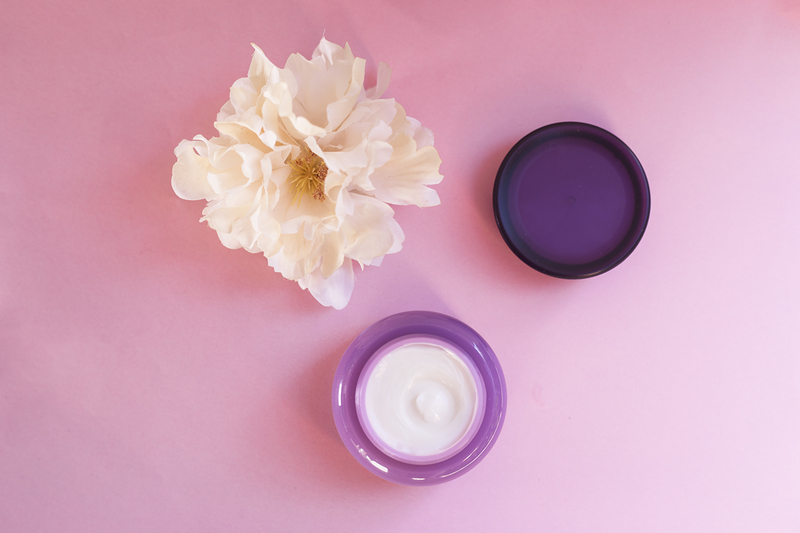 Jeju Orchid Eye Cream includes orchid elixir made of Jeju island's orchids and plenty of antioxidants. Some other ingredients are for example glycerin which has the property of attracting water to itself, adenosine which has anti-wrinkle benefits and green tea extract which protects cells. The eye cream reduces wrinkles and prevent the skin from aging and gives a radiant glow for it. Among time it should smooth the lines, increase elasticity and make your dark circles lighter. It has a flowery fragrance and each container has 30 ml of eye cream. I think everyone should pay a bit of attention to our nature's future by supporting brands which are trying to preserve the nature or support its well-being. Innisfree green promise 2015 includes: Green Eco Campaign — Contributing to reducing carbon emission, Natural Ingredients — Using 70% natural ingredients in skincare and Donation — Returning 1% of annual profit to neighbors. Other things you can do to support the nature are eating more vegetarian food, producing less garbage, recycling your clothes and switching off the lights whenever you leave the house. Small things make the world better place for everyone! Back to the review: After applying the cream I noticed firming touch on the skin. It smooths out the skin and you need only a small amount of the cream for each time. This product should fit people with sensitive skin as well. It gives a nourished feeling on skin and applying makeup is also easy afterwards. To moisturize your overall facial skin I recommend to read this post about the best Korean moisturizers! The skin looks radiant and finer after using the cream but honestly I don't have too much lines on my face so it's hard to notice an instant effect. But it's important to start to take care of skin before the actual damage and lines happen. Still, after two weeks of using this I have noticed small progress on my skin condition around my eyes! They were less puffy and the skin looked brighter. For me the cream was effective and there is plenty of eye cream for longer usage. So for normal and sensitive skin I think this is really great eye cream, but for people with stronger lines and drier skin I would recommend maybe some other product. Thanks for reading and Follow my blog on Bloglovin and Facebook!